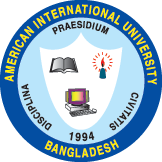 The 5th Orientation Program for the newly joined members of AIUB Community of Engineering Students (ACES) was held on Wednesday, 15th March 2017 at the Auditorium of American International University-Bangladesh (AIUB). This much awaited and exciting event commenced at 4 p.m. with inaugural speech from the Advisor of ACES, Prof. Dr. A.B.M Siddique Hossain (Dean, Faculty of Engineering, AIUB) where he welcomed all the new members and praised about the activities of ACES. Then he shed light on the importance of participating in extra-curricular activities along with academic activities. Then the Mentor of ACES, Mr. Md. Saniat Rahman Zishan (Senior Assistant Professor, Faculty of Engineering, & Special Assistant, OSA, AIUB) welcomed all the new members. He spoke about the purposes of ACES and how the students will be benefitted from the activities of ACES. The program started with a promo video of ACES. Then the event continued with an informative presentation by the Chairperson of ACES, Mr. Jobayer Rahman Chowdhury where he stressed about ACES and its activities, missions and vision for the better understanding of the members. There was an exciting quiz session with the new members regarding ACES. Then the cultural program started which included songs and comic drama performed by the executives and volunteers of ACES. There was also an interactive session with the new members where some came up with songs and others shared some jokes. Ending speech was given by the Advisor of ACES, Prof. Dr. Md. Abdur Rahman (Director, Faculty of Engineering, AIUB), where he encouraged the new members to actively participate in extra-curriculum activities. He also appreciated ACES for all the achievements throughout the year and wished tremendous growth and eminent goodwill as a student organization in the near future. Prof. Dr. Abdul Mannan (Head, Undergraduate Program, Dept. of EEE & COE, AIUB), Dr. Mohiuddin Uzzal (Assistant Professor & Head, Graduate Program, Dept. of EEE, AIUB), Mr. Chowdhury Akram Hossain (Senior Assistant Professor, Faculty of Engineering, AIUB & Advisor of ACES), Mr. Md. Sajid Hossain (Lecturer, Faculty of Engineering, AIUB), Mr. Mr. Sayed Muhammad Baker (Lecturer, Faculty of Engineering, AIUB & Motivator of ACES), Ms. Shahreen Hassan (Lecturer, Faculty of Engineering, AIUB & Motivator of ACES), Mr. Kazi Asif Ahmed Fuad (Lecturer, Faculty of Engineering, AIUB), Mr. Kawshik Shikder (Lecturer, Faculty of Engineering, AIUB), Mr. Safayet Ahmed (Lecturer, Faculty of Engineering, AIUB) and Mr. Nasim Al Islam (Lecturer, Faculty of Engineering, AIUB) graced the event with their presence. The program ended with refreshments and distribution of kits among the participants.